Synopsis: Many years ago, when children loved to hear fairy stories and parents loved to read them, cautionary tales were used to teach us about choices and consequences. These most beloved fables brought to life long-known sage and moral life lessons. It's in the tradition of these folk tales of old we learn the story of Small and Pure. Small and Pure is little girl; a symbol of our most pure, untainted self. She grows up as all of us do, adapting to the world around her, subject to the expectations and conventions of those who keep her safe and into whose care she is entrusted. But something tragic happens to Small and Pure. She comes to us now with a sobering message, one she hopes we will learn before it's too late. 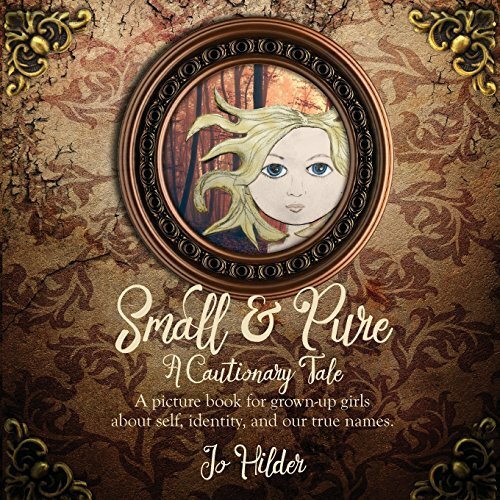 The story of Small and Pure encourages us to seek and hold onto our most authentic truths, lest we become burdened with identities that disguise, bury and eventually cause our very essence to disappear, perhaps forever.